The more the merrier! Amy Schumer has shared a second and third set of stunning photos from her surprise wedding to Chris Fischer. 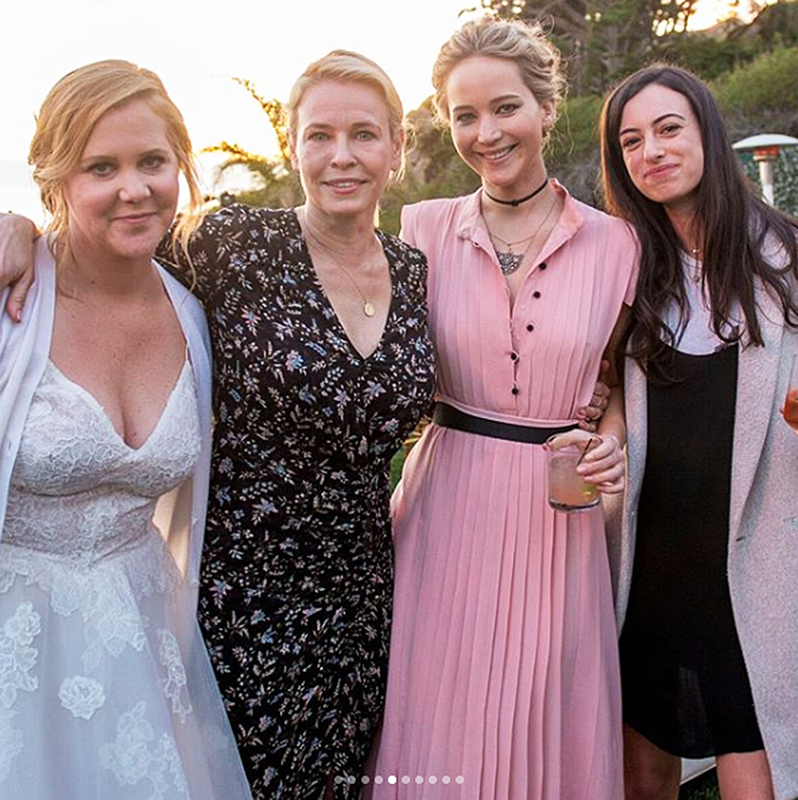 The Inside Amy Schumer star, 36, uploaded an Instagram slideshow of 10 pictures on Thursday, February 15, hours after Us Weekly exclusively confirmed that she and the Beetlebung Farm Cookbook author, 37, tied the knot in Malibu two days earlier. The first snap shows the newlyweds smiling and holding hands inside the home they rented for the ceremony. Other photos feature Schumer’s bridesmaids and the couple’s family members, as well as some of the celebrities that made the guest list. In one image, Jennifer Lawrence dances near a fireplace while holding a drink, while another shows the bride’s father, Gordon, watching the stand-up comedian and her sister, Kim Caramele, sing and dance together. The slideshow also includes a group shot of Schumer, Chelsea Handler, Lawrence and Larry David’s daughter Cazzie David. The set ends with a sweet picture of the bride and groom laughing during the reception. Jennifer Aniston, David Spade, Judd Apatow and Jake Gyllenhaal were among the other celebrities who attended the wedding. The Stronger actor was one of the stars featured in the first slideshow that the Trainwreck star posted on Instagram earlier on Thursday. Schumer and Fischer were first spotted together in November. She confirmed their relationship on Instagram just two days before the nuptials.